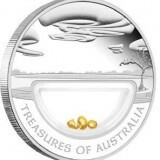 The coin we are going to present is one of the most desired coins minted by Australia. 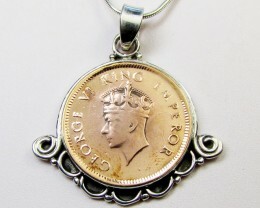 It is the silver florin of 1939. In 1936, King George V died and left his throne to his elder son, Edward. But due to a love affair, the latter preferred to leave the throne. When King Edward VIII abdicated only a few months of reign, he left the throne to his brother, George VI. In all the British Commonwealth, the new king’s portrait appeared on the coins and sometimes the coin itself suffered some design modifications. 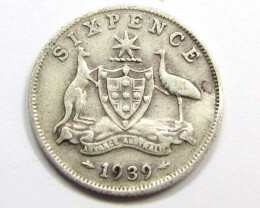 In Australia, in 1936, Edward, due to his short reign, didn’t mint any coins, as well as in UK. 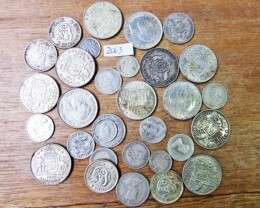 The production of the new types of coins started only 2 years after, in 1938. The new coin was similar as style with the George Vth coins but with major difference. 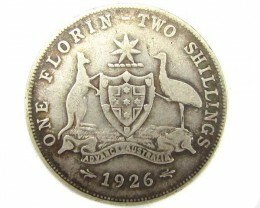 For example, the Australian Florin silver coin2 shillings or 1/6 of a pound) was depicting on one side the coat of arms of Australia, with a star above and the legend ONE FLORIN-TWO SHILLINGS. On the obverse, the king was crowned. The new type was the similar but the legend was replaced with ONE FLORIN, and the country name was added in bottom together with the year. Also the coat of arms was given a crown on top, instead of the 6 ray star. On the obverse, the portrait of the king was looking in the same side but instead of George Vth old face, with crown, the much younger portrait of the new king appeared, without a crown. 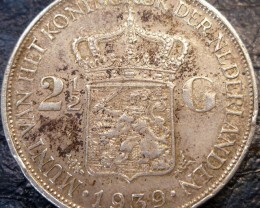 The coin was same size as the old ones, was made of silver 92,5 %, with a weight of 11,31 g, 28,5 mm. The coin can be found in Krause Standard Catalogue under the position of KM#40. In 1938, the mintage was only 2990000 pieces and a special proof strike, with an unknown number. The next year brought a problem. The 1939 florin was minted in only 630000 pcs, the lowest mintage of this type of florins. The reasons? 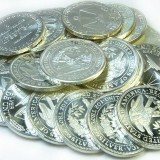 One of them is that the production of these coins in the previous years was large enough to supply the market. Also the market had the 10 s. (or 5 florins) banknote that made the payment with large quantity of florins unnecessary. 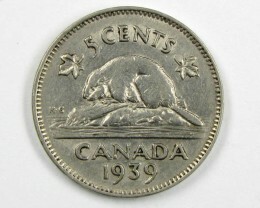 The outbreak of the World War II also created a large problem in coinage. The need of metal for the war industry was primordial. But what metal was more precious? Silver for use as precious metal or other metals like copper or nichel, vital in the armament production? It seems that both are important. For example Us minted 5 cent coin“the nickel”, marked with P, in which composition they preferred to put silver rather than nickel. In Great Britain, a silver coin of 3 penny circulated alongside with a nichel-brass coin. Things You Should Know about Collecting Australian Coin The 2009 edition of Krause Standard Catalogue gives a value of 30 US $ for a vf and a 250 $ for a XF, 1000 in UNC and 1700 in BUNC, the highest values for a George VI florin. 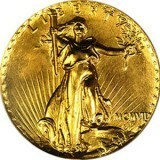 But usually these values are below the market price, a market with a high demand of this coin.